If you are looking for a vacation filled with sunshine, beautiful sands, and idyllic waters – Turkey is the place. During the summer you can expect to experience hot weather every day of the week. Not only is warm weather guaranteed, but the beaches are to die for. One thing most people like to do when going on holiday is to indulge in the delicious local food. Turkish cuisine is full of flavor and is definitely popular amongst most. After all, Turkey is home to the ever-popular kebab, and who can truthfully say they don’t enjoy tucking back one of these now and again? Not only are flights reasonable to Turkey, but you can find cheap holiday accommodation in Turkey and the general cost of living out there is cheap too. This is because Turkey is yet to enter the euro – which seems to have increased costs in most countries. If you want to experience utter relaxation – and let’s face it; who doesn’t? – then you simply must visit one of the Turkish baths. These have become a highlight of most people’s trips to Turkey. Every country has a history and it is always good to get a taste for this when you visit somewhere new. 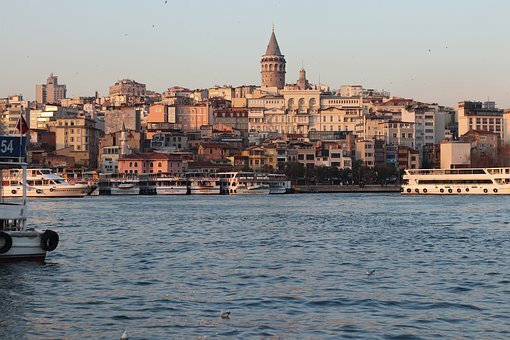 Nevertheless, not many places can say they boast a history as interesting and fascinating as Turkey’s. To back this point up; Turkey actually boasts the most archaeological sights in the entire world. Villas have truly become to most popular choice over staying at a hotel. You won’t be short of fantastic holiday villas in Turkey to choose from, as you can see at homeaway.co.uk. They all boast a luxurious and lavish quality to them. All you need to do is look on the internet to see the vast selection that is available. You will be able to find villas available for low prices and you can choose between a great selection of facilities; ranging from swimming pools to air conditioning. All of the major airports have flights going to Turkey and so you won’t find it difficult to get to the popular country. Turkey is rich and diverse in culture and the people are well known for being friendly and welcoming. Embrace the different arts and music that Turkey has to offer; these are just two qualities that set the country’s culture apart. If you have a thrill for the exciting then you will enjoy taking part in one of the many water sports and alike available. Or, if being on land is more your thing, then why not go for a hike and see all the beauty Turkey has to offer? Head to outdoorgearonly.com before your trip to get everything you need. If you love to shop then you will love Turkey. There are lots of authentic and simply stunning pieces of fabrics, jewellery, adornments and alike to purchase. These tend to be rich in colour and intriguing in design too.